France wants to secure guarantees on environmental protection and access to public procurement markets before moving forward into new trade talks with the US, president Emmanuel Macron said during the European Council on Friday (22 March). In its conclusions, EU leaders called “for the necessary steps to be taken towards rapid implementation of all elements of the US-EU joint statement,” including opening trade talks. However, France is still reluctant to move and the mandate has been blocked for a number of weeks. “If we should move forward, I have always been clear, we cannot doing it unless we have guarantees,” said Macron regarding the agreement presidents Jean-Claude Juncker and Donald Tusk reached in July for opening trade talks. 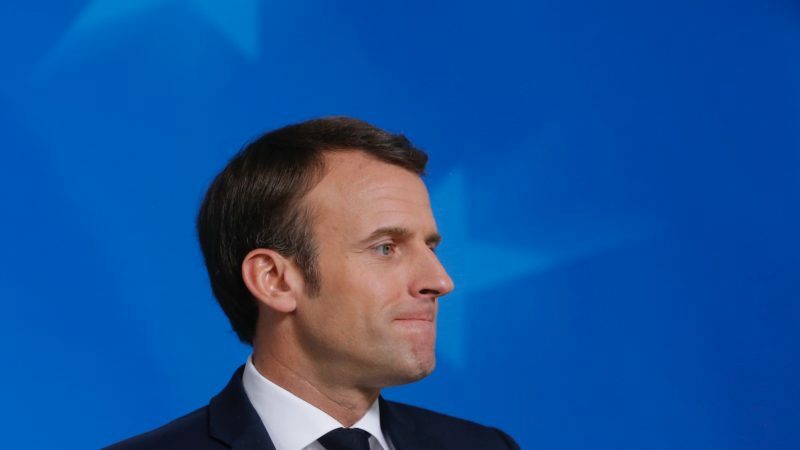 “I am not in favour of having new trade deals, in whatever form, with whoever is, with partners that do not have the same climate standard than we have because that would be unfair competition for our companies, our farmers…,” Macron warned. The president also pointed out the need for reciprocity in terms of access to public procurement markets, as a condition for opening talks with Washington DC. 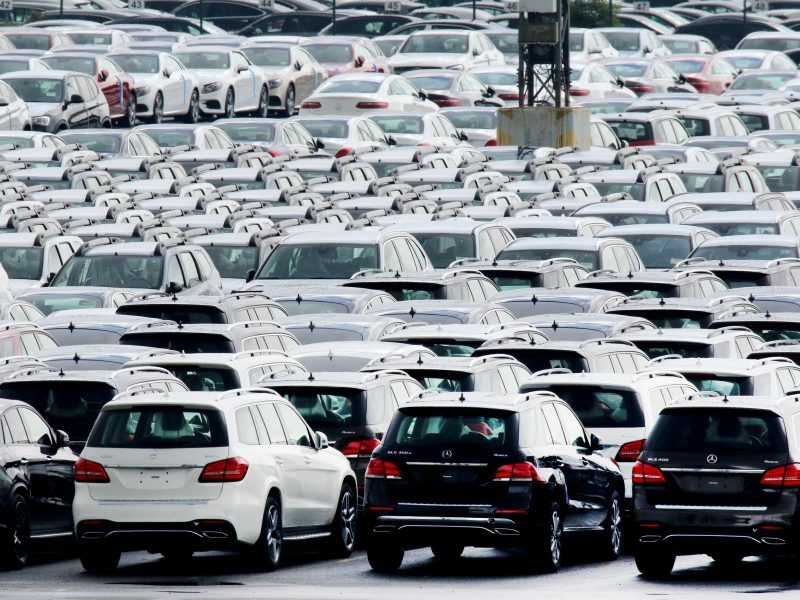 After the US imposed punitive tariffs on steel and aluminium exports and threatened to hit European cars with similar actions, Juncker travelled to Washington to meet President Trump and try to ease the tensions. 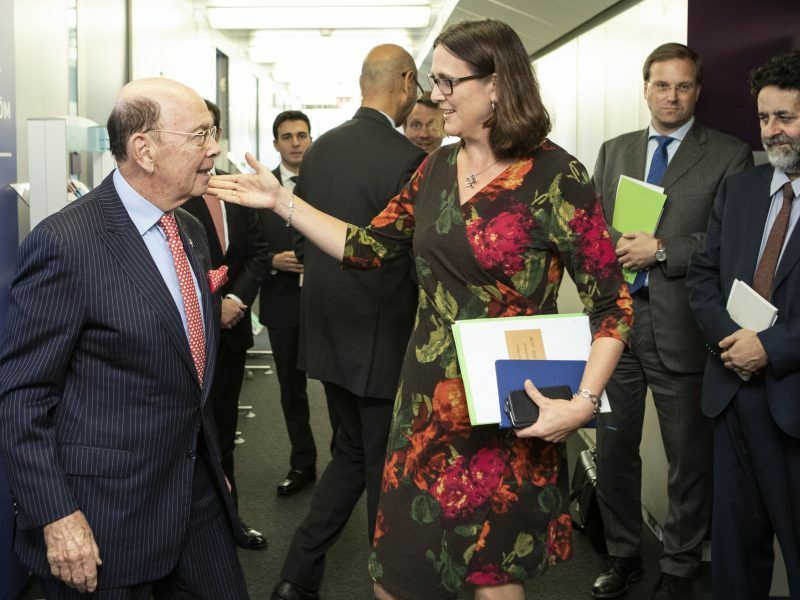 In January, Trade Commissioner Cecilia Malmström presented a draft mandate to the member states for the negotiations on the elimination of tariffs for industrial goods and a conformity assessment. The conformity assessment set out the requirements for products to be sold in the EU market and is intended to sit alongside the deal the Commission is planning to negotiate to remove non-tariffs barriers too. The mandate has been blocked in the Council for weeks, mainly due to French concerns, although the European Parliament also broaches at the idea of opening talks with the US. EU lawmakers failed last week to pass a resolution supporting starting the trade negotiations with the Trump administration, as the steel and aluminium tariffs punishing European exporters remain in place. Although the resolution is not legally binding, the European Parliament would have to eventually vote on any agreement between the US and the EU. President of the European Central Bank Mario Draghi addressed the leaders during the second day of the European Council. The probability of a recession “is still quite low,” said Draghi, although he warned EU leaders of economic uncertainty. The main reason for this uncertainty is the slowing down of international trade, as a result of the ongoing tensions, including between the US and the EU, which the trade talks are meant to ease. Although so far the impact on consumption and investment is limited, “a substantial degree of monetary policy accommodation is needed,” EU sources pointed out.